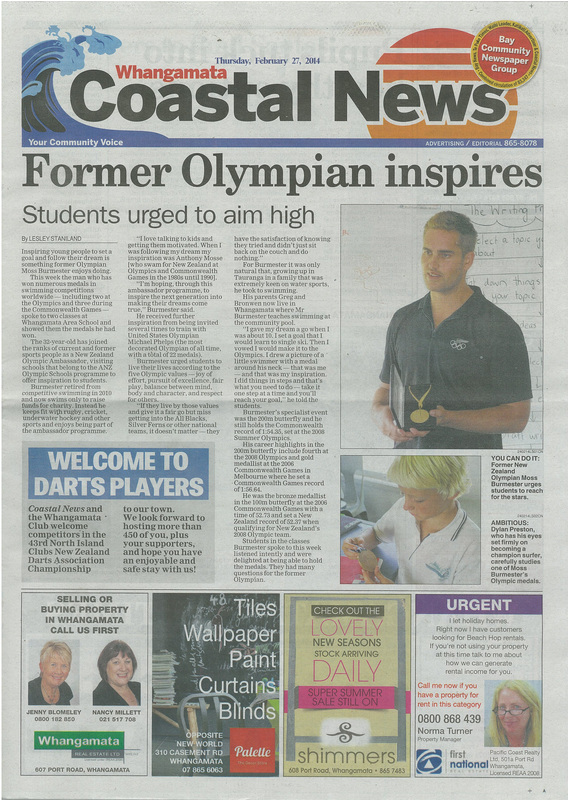 "I want to thank you for spending time with the swimmers from the Whangamata club last Monday. They all gained so much from that session. On the weekend they attended the Waikato Classic where they all set personal bests and gained a few medals for their races. They certainly put into practice what you had taught them as most of them shaved at least 5 seconds off their times at the meet. My son Callum was most pleased with himself as he swam 40 seconds faster in his 200m breaststroke by doing what "Moss" had told him to do. Thank you once again. Your visit has certainly inspired them to train harder and smarter."